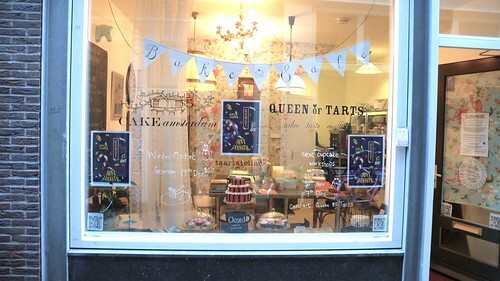 taartatelier Sint Jansstraat, a photo by CAKE Amsterdam - Cakes by ZOBOT on Flickr. On Saturday December 17th from 12:00 till 18:00 the SINT JANSSTRAAT will be transformed into a CHRISTMAS MARKET! On offer from CAKE Amsterdam... Mini Cupcakes & Christmas Cupcakes, Cookies and Hot Coco. Also Traditional Fruit Cake Cupcakes (from the Queen of Tarts)!!! There will also be all sort of other goodies for sale... pottery, jewelry, arts & crafts, etc!